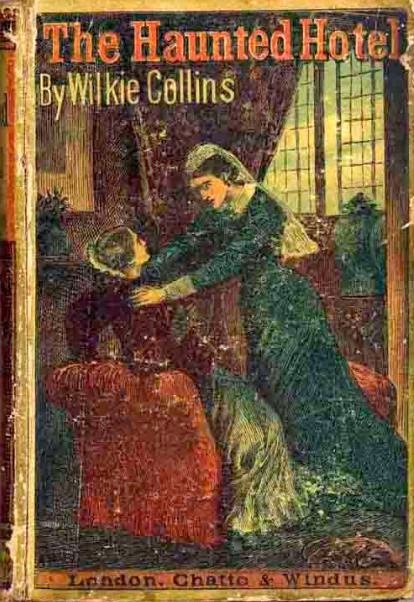 The full title of this novella by Wilkie Collins, that is in the public domain, is The Haunted Hotel: A Story of Modern Venice. And it is because part of this novella is set in Venice circa 1875 that makes it so interesting to Italophiles. The contemporary descriptions of the city make fascinating reading for anyone who has been to the city, or dreams of going there. On the day when I took your hero from you and blighted your life—I am firmly persuaded of it!—you were made the instrument of the retribution that my sins of many years had deserved. ... You have still to bring me to the day of discovery, and to the punishment that is my doom. We shall meet again—here in England, or there in Venice where my husband died—and meet for the last time. When the women meet again in the palace after it has been converted to a hotel, they are haunted by the spirit of the dead man. The spirit pushes one woman to discover the truth about the man’s gruesome death, and it pushes the other woman to reveal that truth in all its terrible details. 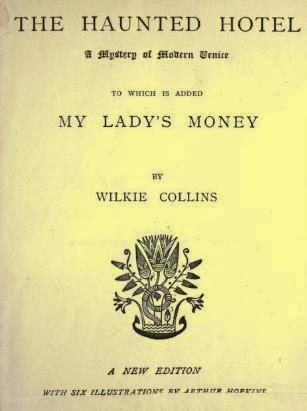 Wilkie Collins (b.1824-d.1889) was an English novelist, playwright, and author of short stories. He wrote “sensational” stories, as he called them, that were the precursors of today’s mystery-thriller novels. He frightened the readers of his serialized stories by using a mixture of the supernatural, crime, mystery, violence and murder. 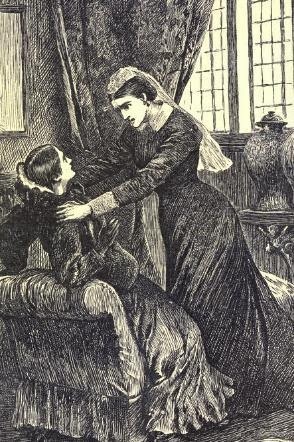 Collins entertained his readers using techniques that later writers like Anna Katherine Green developed into the true genre “murder-mystery”. If you've never been to Venice, Italy, here is a lovely 3 minute video postcard. Venice is not a city that changes, so the sights you see here, are the same that the protagonists in the book saw. Collins wrote his books in installments that were published in magazines. When he reached the end of the story, the installments were collected together and published in book form. Two of his novellas, written in the way, were published together in book form: The Haunted Hotel and My Lady's Money. To be completely honest, the speed with which Collins wrote the stories means that there are errors in the text, such as one character's name changing halfway through The Haunted Hotel. And many threads of the story and characters appear to be in an early draft form, as if they would have been expanded if Collins had had time to do further revisions. There are also many cases of something that was common then but which now goes over most readers' heads: obtuse, coded references to sexuality. Various e-book versions of The Haunted Hotel are available for free from Project Gutenberg, the grand-daddy of free e-book sites. If you prefer to read the original book, scanned, and made into an e-book, that is available for free from Internet Archive, to download or to read on-line.